Mango Jalapeno Salsa. Will be using this as a complimentary dip for bbq spicy shrimp skewers. It's also great in chicken or fish tacos, or combine it with some mayo and cabbage for a new take on coleslaw. No real ratio to this one, just toss the ingredients in, using as much or little as you'd like. 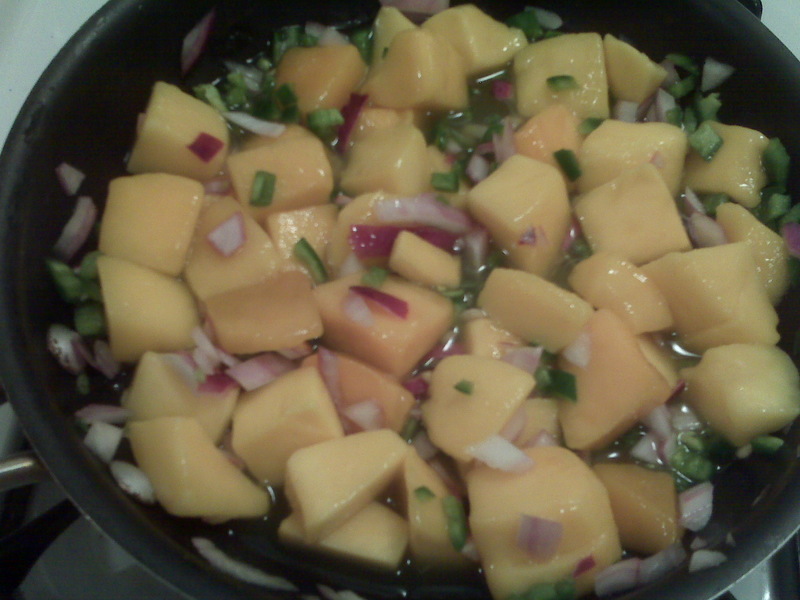 Put everything in a small saucepan over low heat, cover and simmer 10 minutes until mango is softened. Transfer salsa to food processor and process for a few seconds to combine.